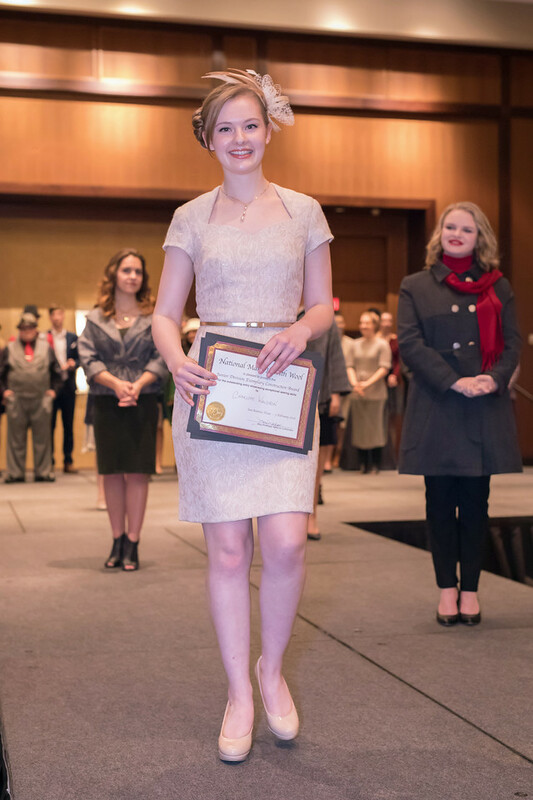 Charlotte Waldron created a short-sleeved sheath dress with a sweetheart neckline for her first year competing in MIWW. 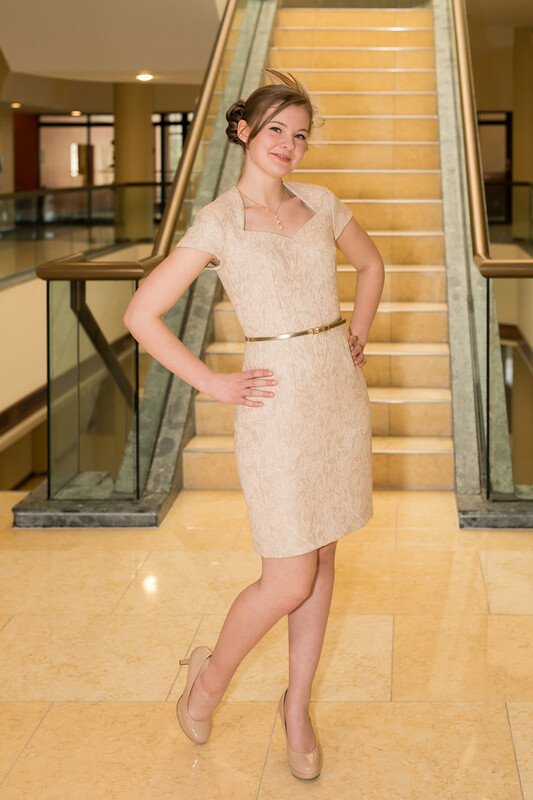 Charlotte used the Layla Dress pattern from StyleArc.com. 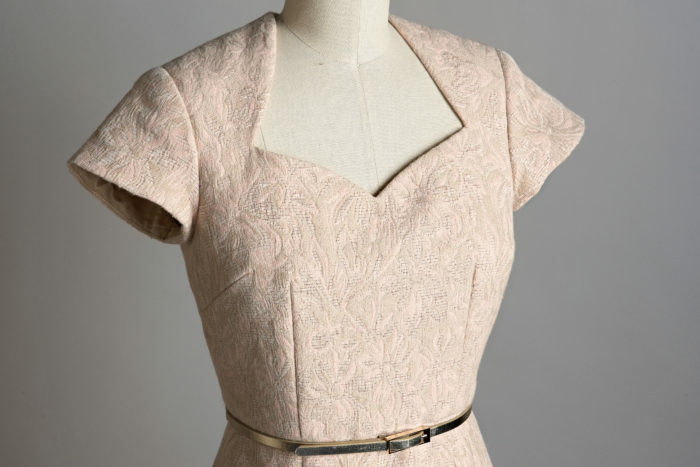 The dress is made from a lofty pink and beige wool brocade that contains gold Lurex thread to add sparkle. 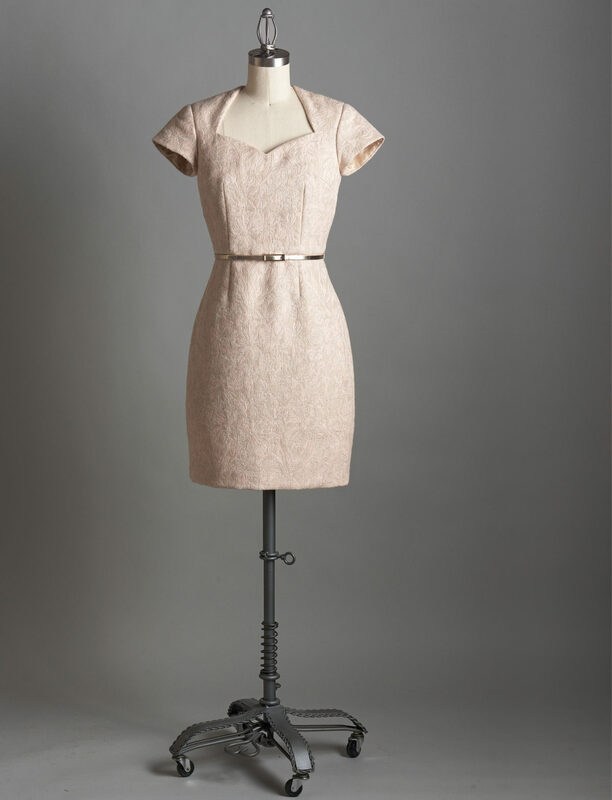 Inside, the dress features a waist stay, balanced darts, and a lined kick pleat with dress weights. The lining is two different fabrics: The skirt has a traditional lining fabric, while the bodice is lined with lightweight cotton-silk satin, which is soft and does not produce static. The entire dress is underlined with fine cotton-silk voile. Charlotte began sewing at age 8 when her mother taught her to sew a simple skirt. In the 10 years since, she has sewn a variety of outfits, including a figure-skating dress and formalwear. Her sewing is informed by her mother, sewing seminars, and Threads articles.